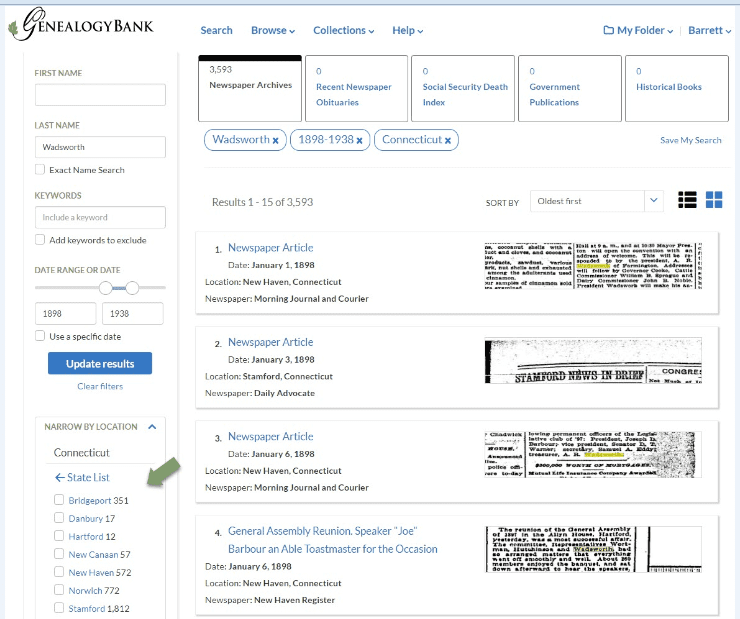 New Features Added to GenealogyBank! 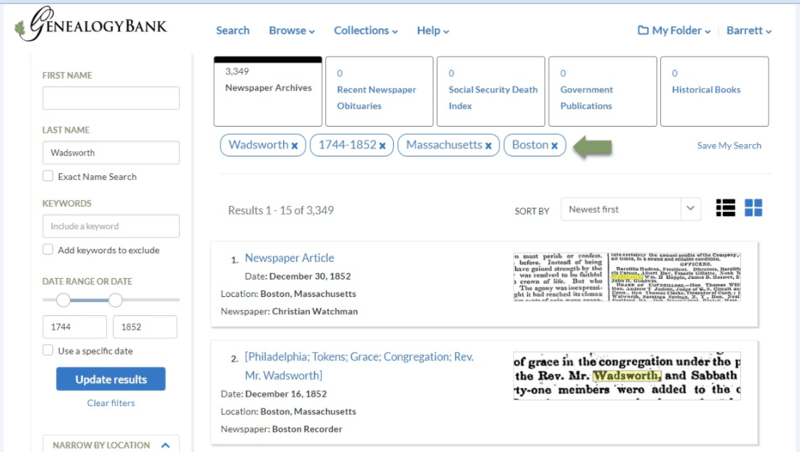 Based on user feedback, we have added some new features to GenealogyBank to make it easier to find information about your ancestors, as well as save and use what you find. Here are four new features we’ve added recently. And please keep that feedback coming! Do you use My Folder to save and organize the articles that you find? 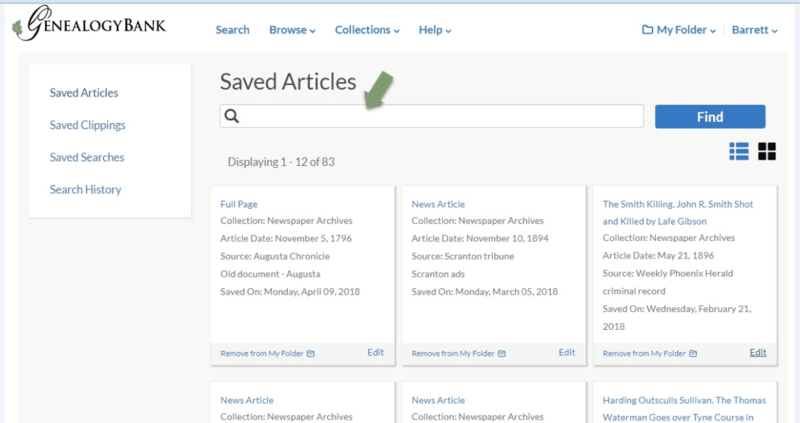 You can now search within your saved articles and clippings so that you can find them again more easily. 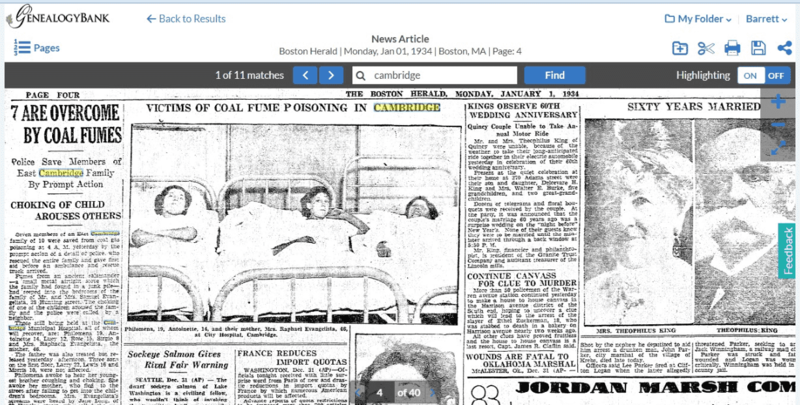 The newspaper image page now has more space dedicated to the image itself. And a new clipping experience allows you to more easily save, print, or download clippings you make. You can now navigate more easily between state, city, and newspaper. From the main search form or on the results page, use the location filters to drill down to a specific city, or publication within that city. On the search results page, it’s now easier to see and adjust your search, using the clickable search terms above the results. Have ideas for more improvements? Send an email to feedback@genealogybank.com. I love the new features! The website has become much more user friendly. Thank you for making this wonderful resource available. Martha – Thank you for your positive feedback! We are always striving to improve our website and we are glad it is making a difference. We’re glad you’re a member of GenealogyBank!